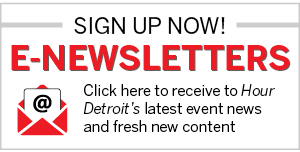 Downtown Detroit has become the site of hospitable development, as a long list of hotels including the Shinola Hotel, the Siren Hotel, and the Detroit Foundation Hotel have come to cater to out-of-state tourists and the metro Detroit locals looking for a weekend escape in the last few years. 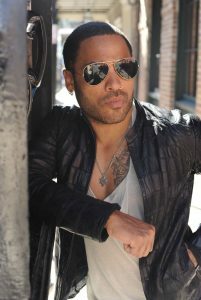 And now, another exciting establishment is in the works — this one involving four-time Grammy-winning rockstar Lenny Kravitz. 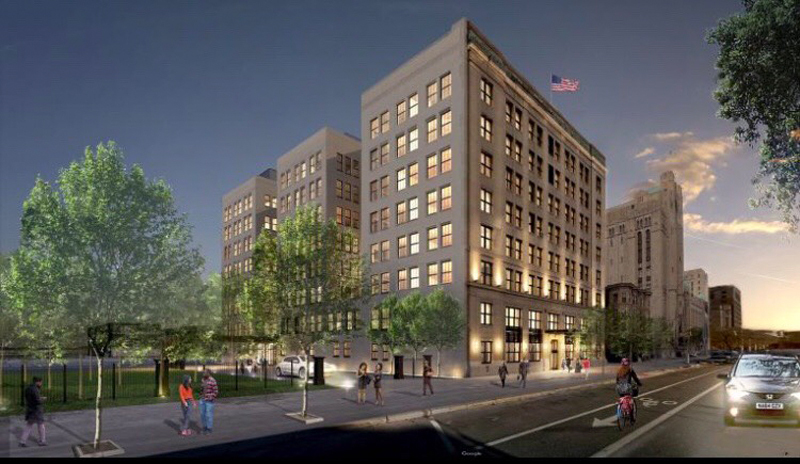 The former Standard Accident Insurance Co. building, an eight-story structure originally constructed in 1920 and designed by Albert Kahn, is being transformed into the Temple Hotel. Located on 640 Temple St. in the Cass Corridor, the $72 million hotel project is expected to open in June of 2020. Developer SBE, a leading international hospitality group based in Los Angeles, tapped Kravitz and his New York City interior design firm, Kravitz Designs, along with award-winning architecture firm McIntosh Poris Associates, to design the 100-room and 70-apartment space. “My connection with [Detroit] has been through the decades of music created there,” Kravitz says. “In recent years, I have also become interested in Detroit as a city being reborn.” Launched in 2003, Kravitz Designs past projects include the bohemian chic Sound Lounge — a wood-paneled entertainment and music venue — inside the Kent, an Upper East Side luxury condo. In 2017, the firm took on the 75 Kenmare, a 38-apartment luxury condo in the center of Nolita that was previously a parking garage. Kravitz himself told WWD that the design called for an organic palette that included glass, wood and concrete —one of his favorite materials to use. SBE’s plans for the 190,000-square-foot hotel include a whiskey bar located in the Standard’s former vault, which will aptly be named The Vault. A below-ground music venue that will boast 20-foot ceilings and a 500-person capacity, a heated-rooftop pool and lounge that offers views of Detroit’s skyline, a full-service spa, and two restaurants are also in the mix. Hotels rooms will occupy the first three floors of the building, while the other five stories will available for high-rise living quarters. An average stay at Temple Hotel will run around $175 per night. Listing prices for permanent residencies are expected to be around $2.50 per square foot. Three studio, 10 two-bedroom and 57 one-bedroom apartments will be up for lease. From the hotel, it’s an 11-minute walk to Little Caesars Arena, and roughly a 10-minute drive to Comerica Park and Ford Field. What Detroit hotels are you loving for a staycation? Tell us in the comments below!